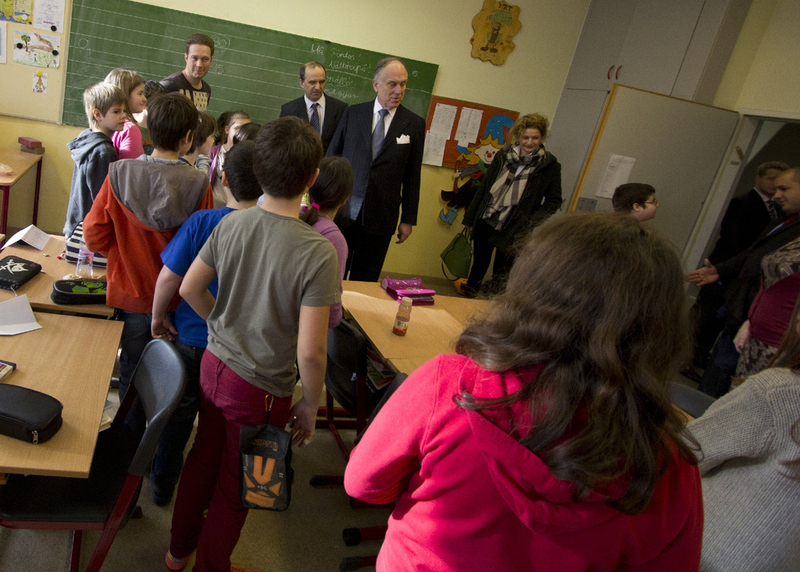 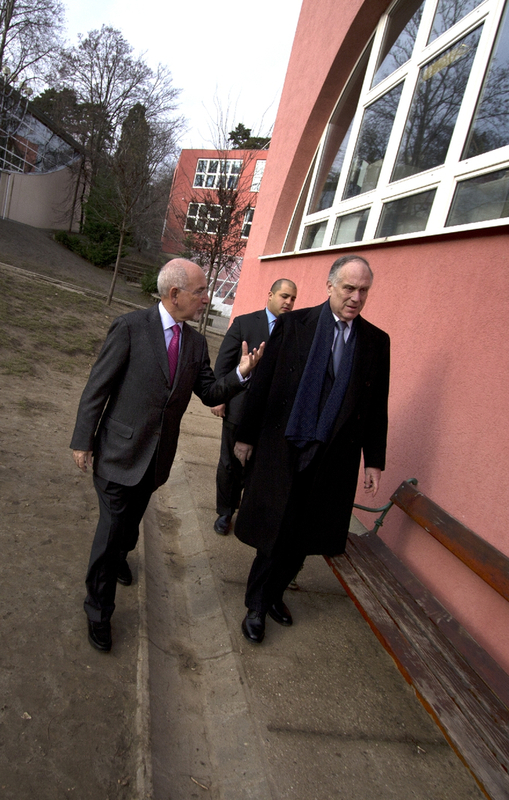 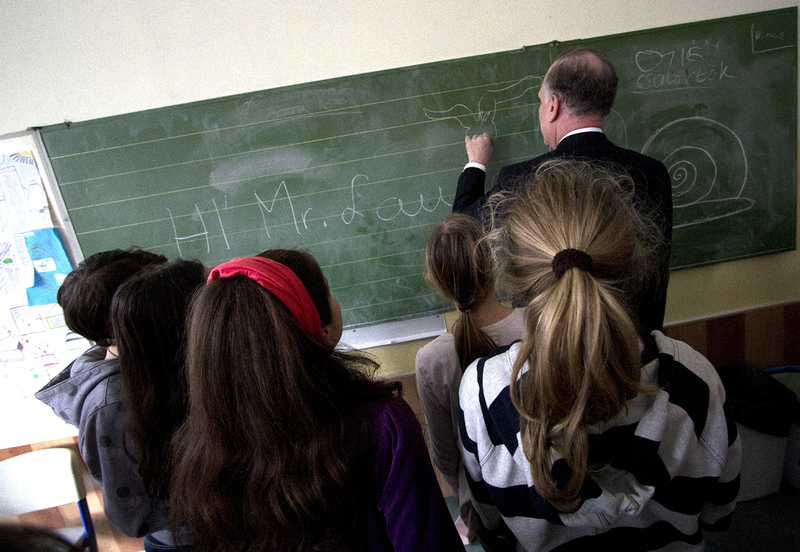 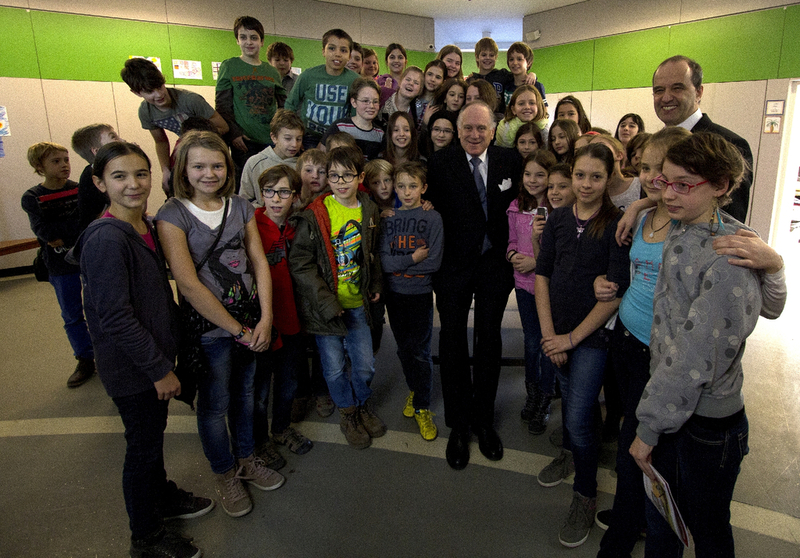 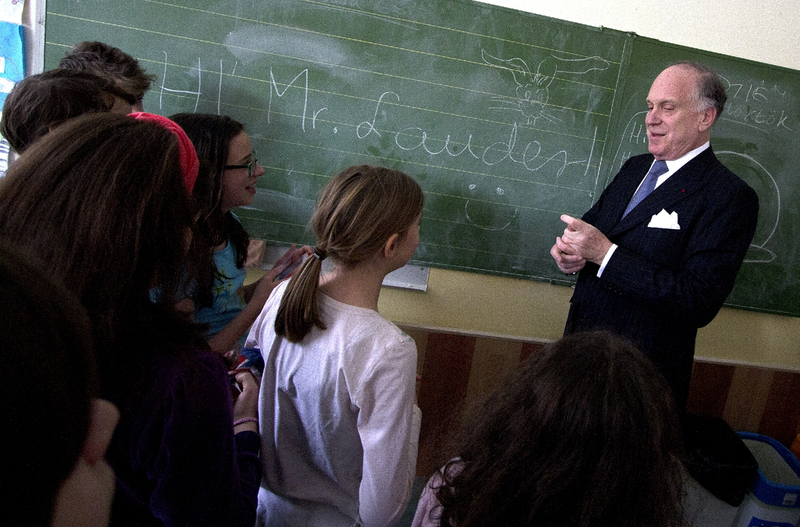 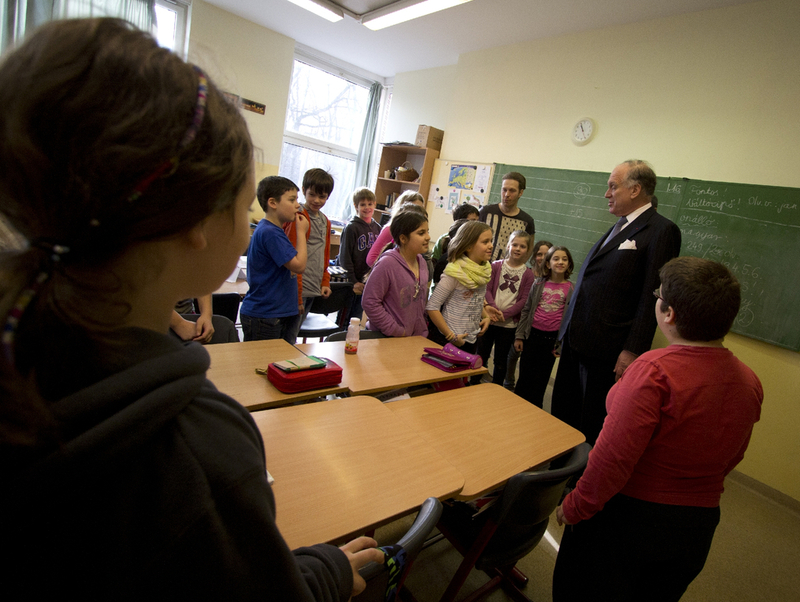 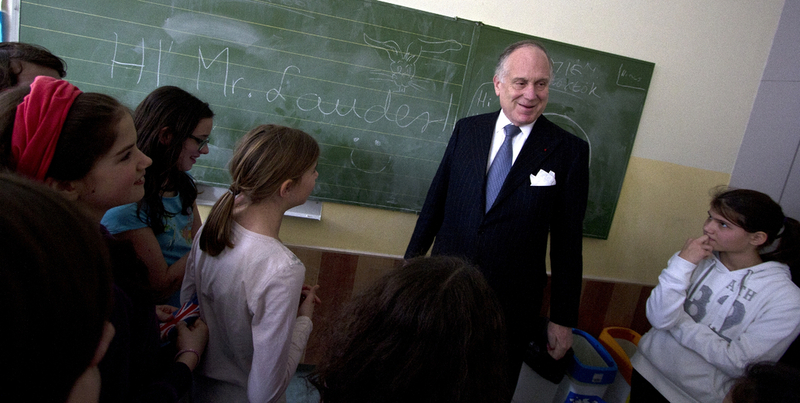 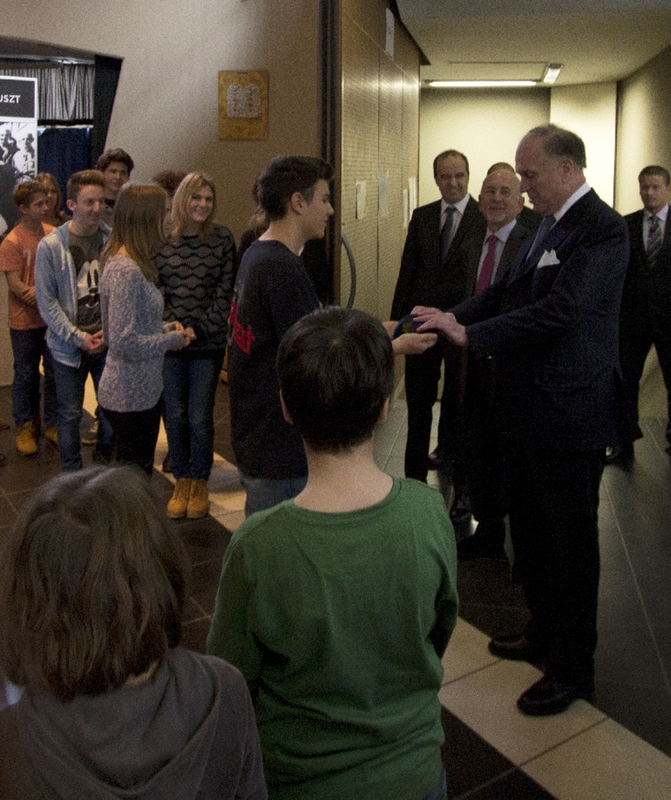 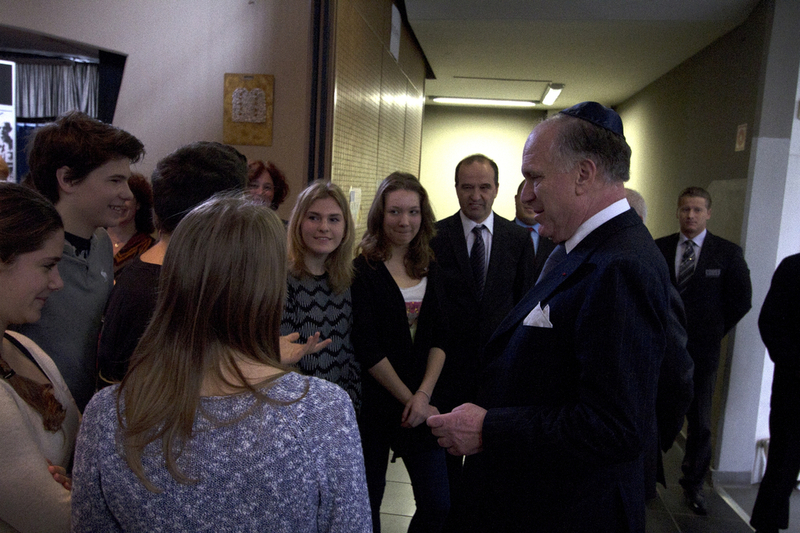 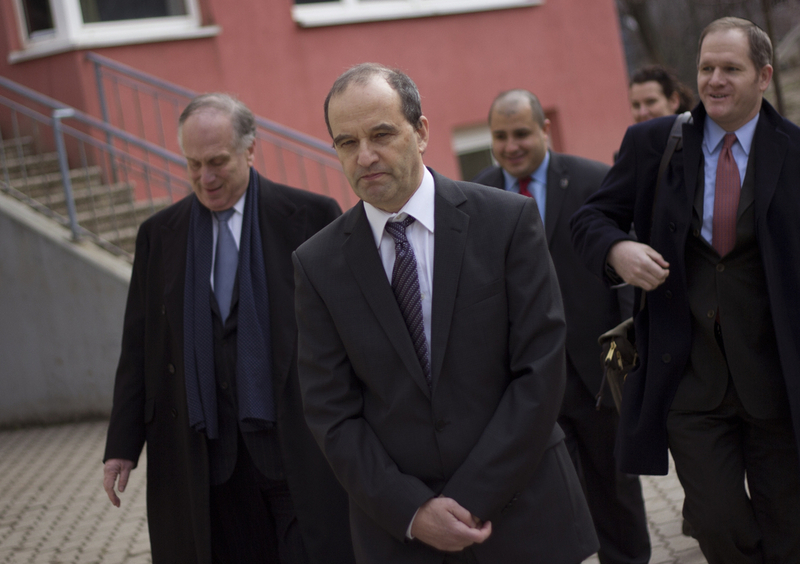 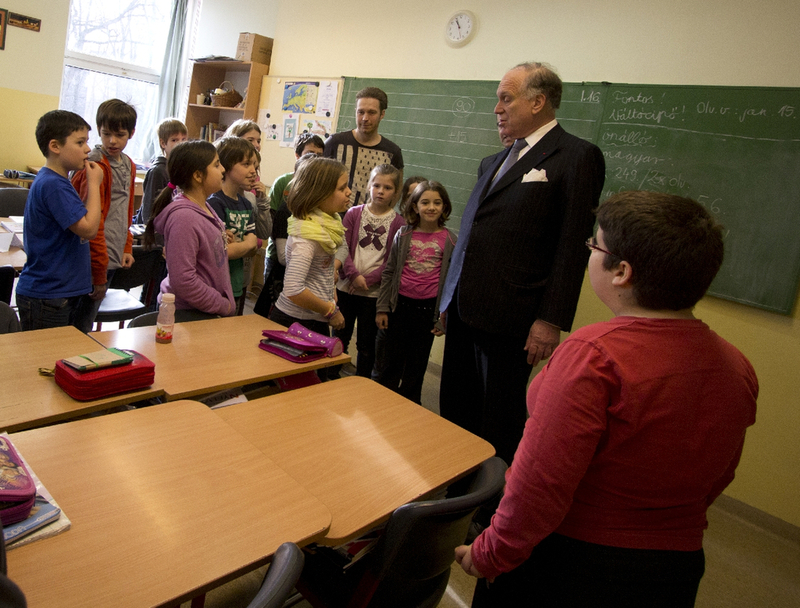 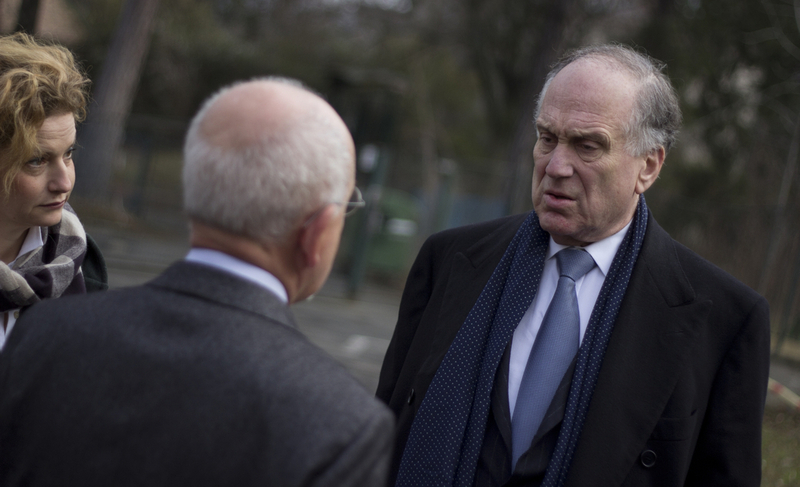 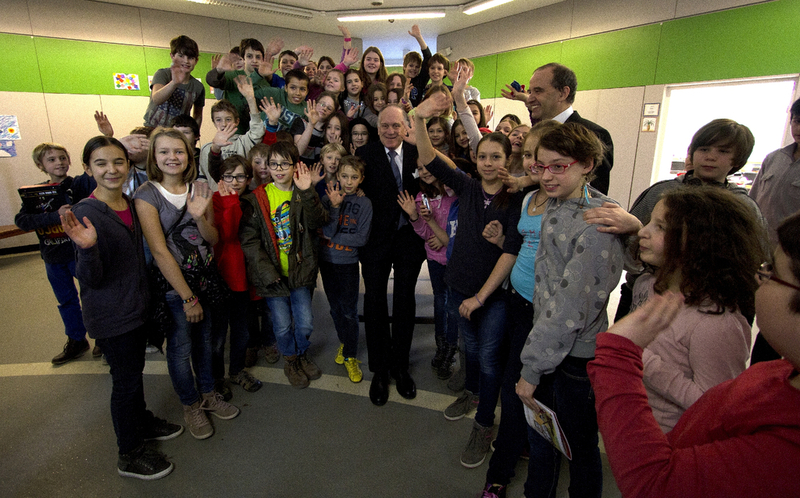 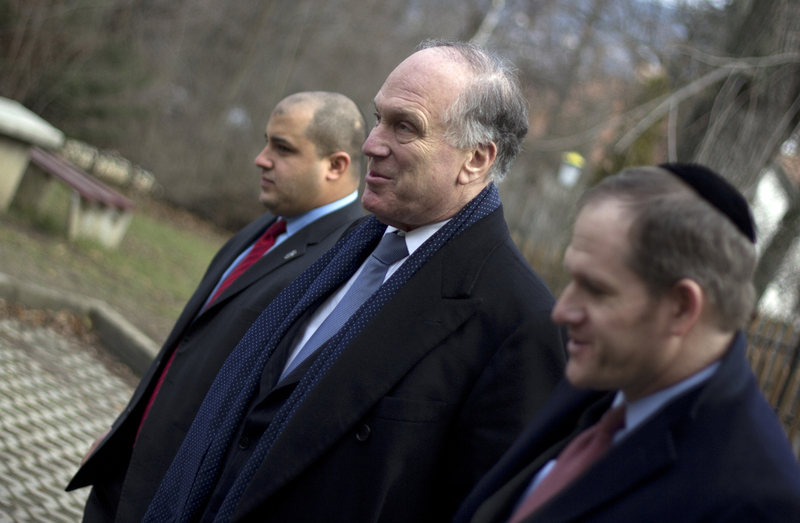 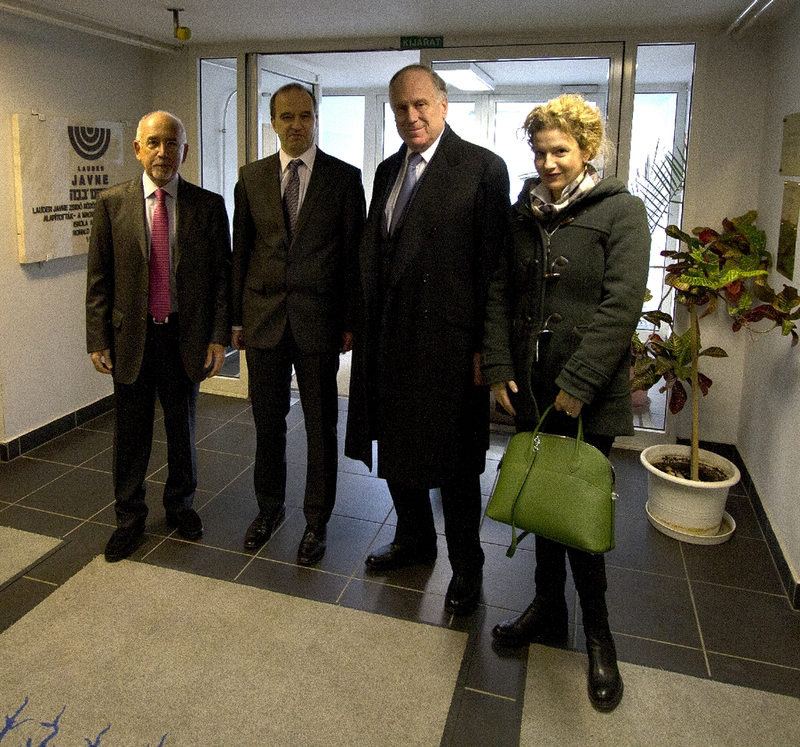 On 16 January 2014, a delegation headed by Ronald S. Lauder visited our school and kindergarten. 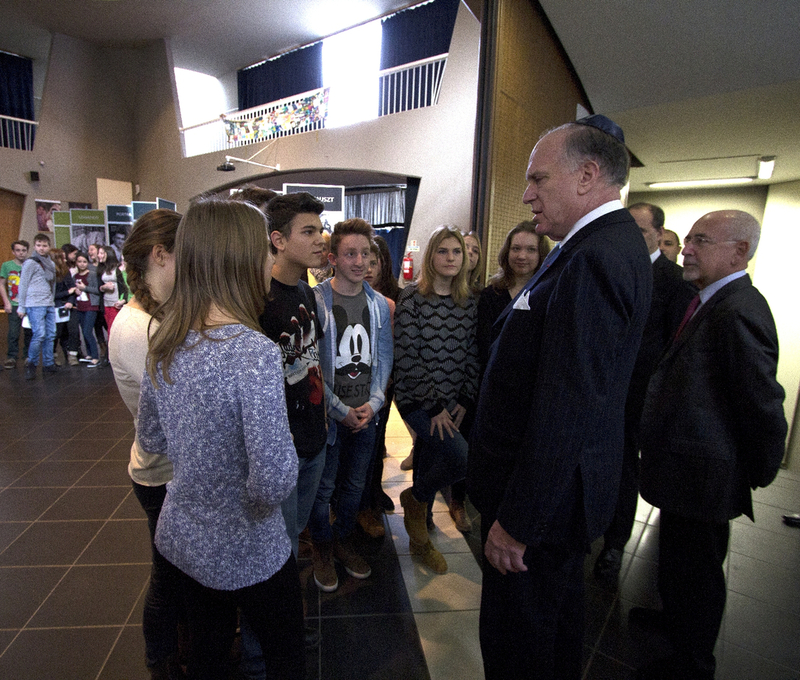 He was greeted by our student choir in the assembly hall, where our 9th grade students had a chance to talk to him. 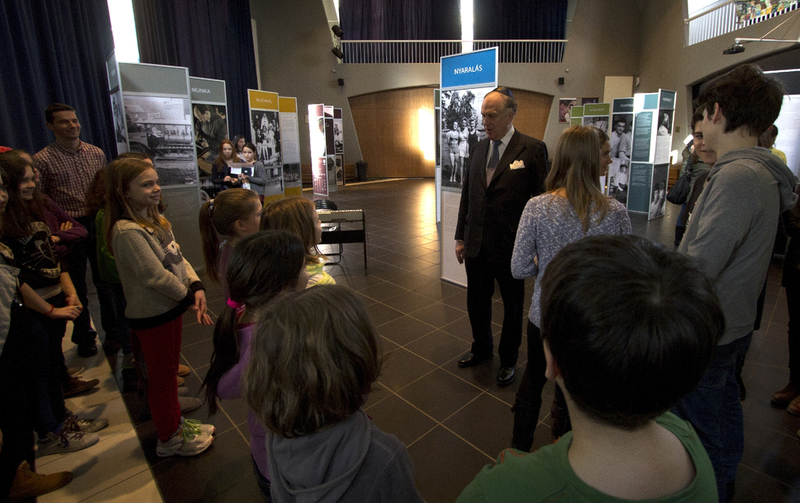 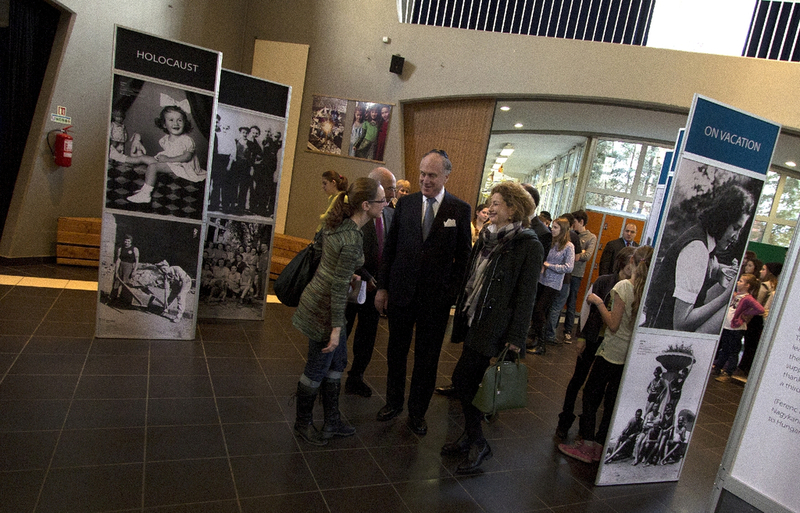 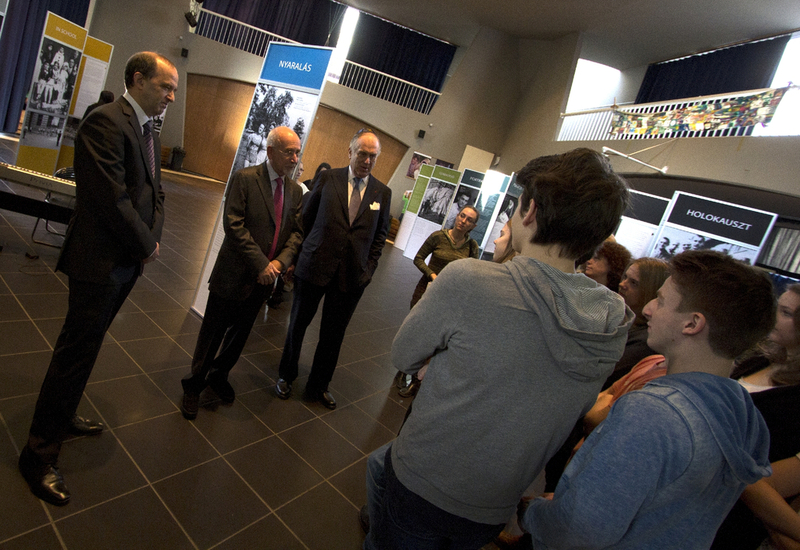 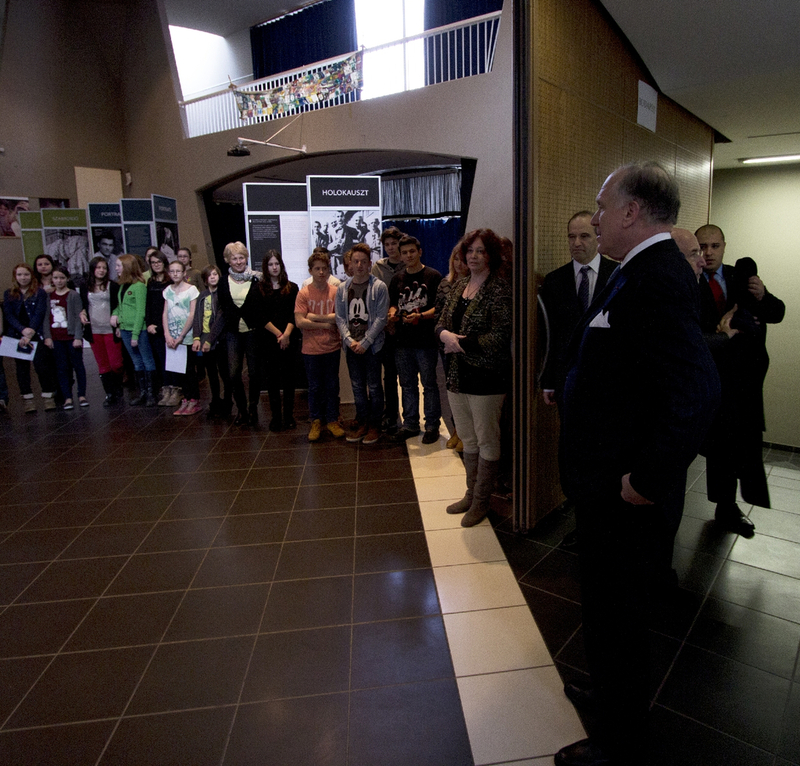 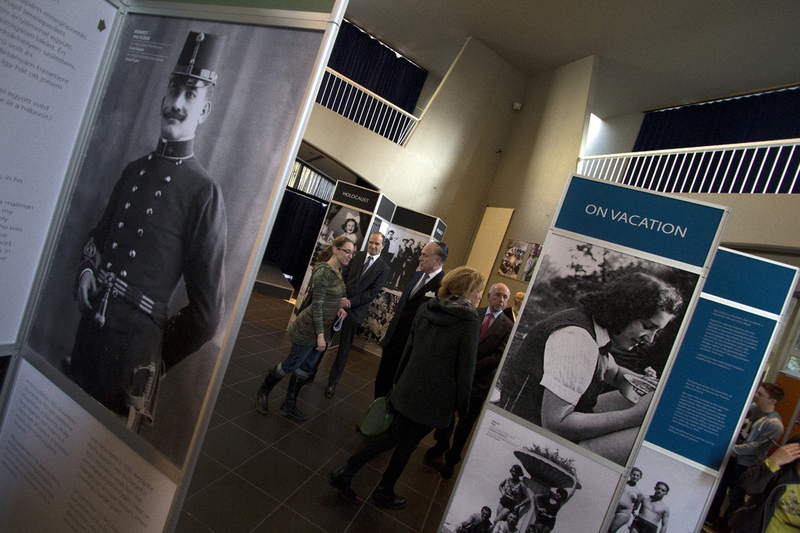 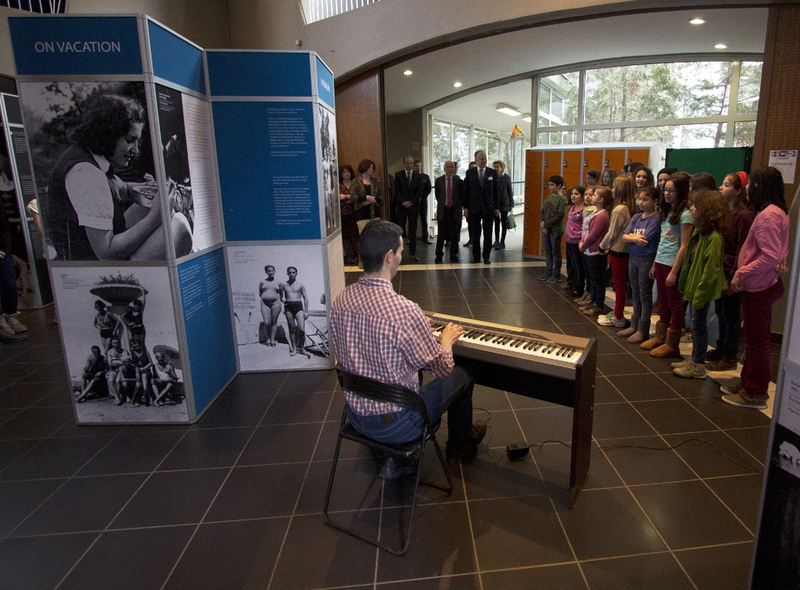 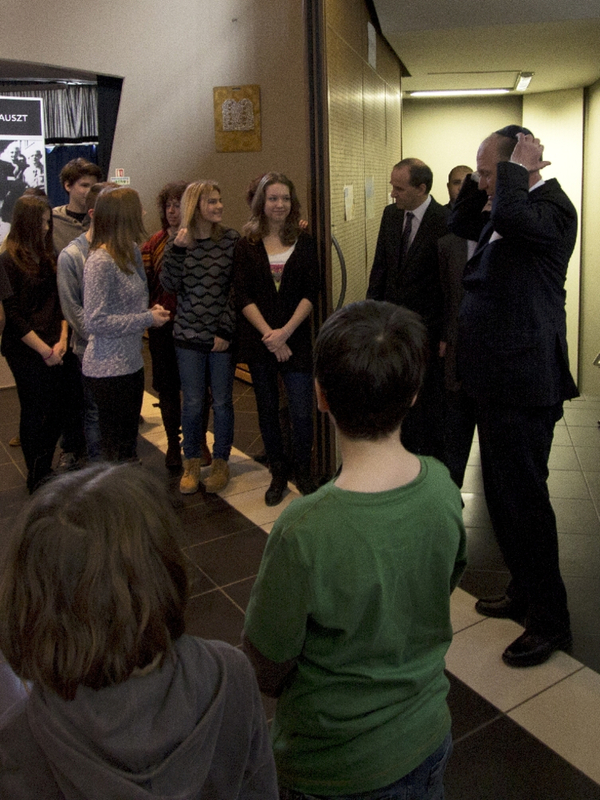 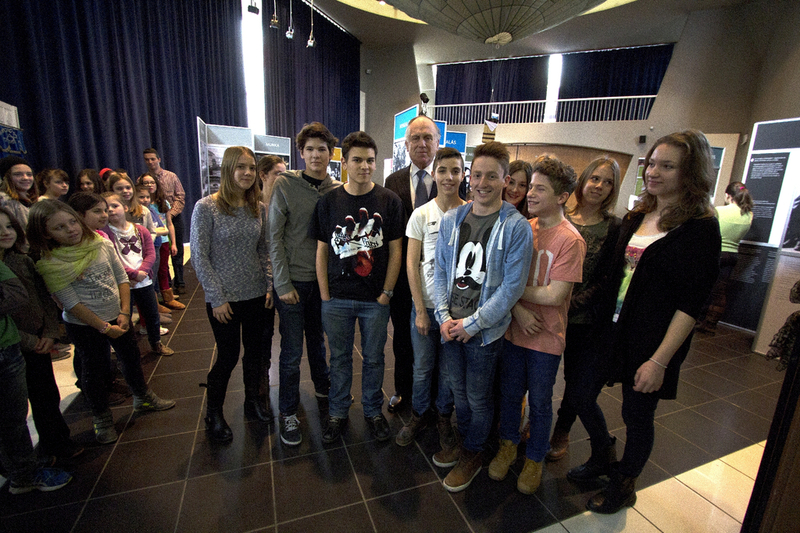 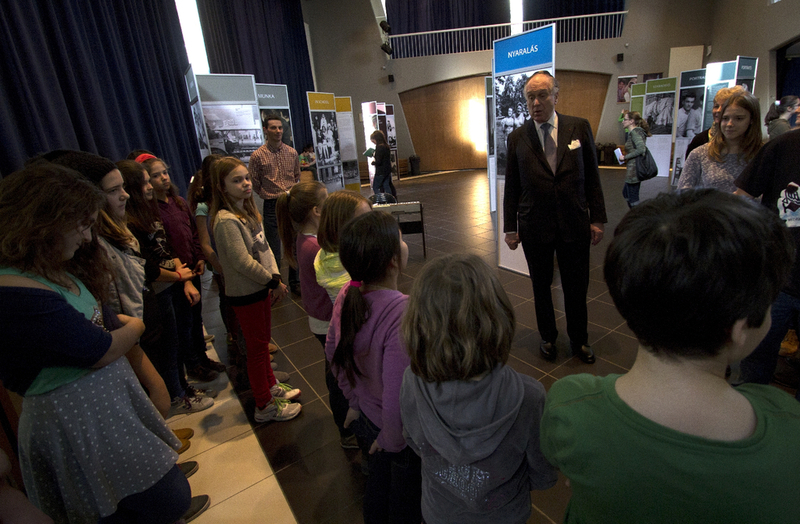 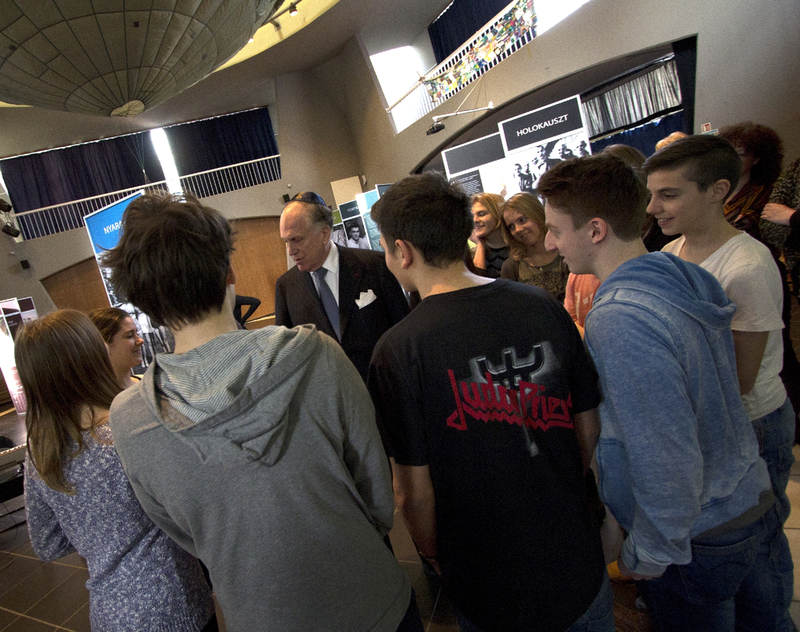 Mr. Lauder and his companions viewed the travelling exhibition set up in our assembly hall about the lives of 20th century Jewish families portrayed through photos and recorded stories. 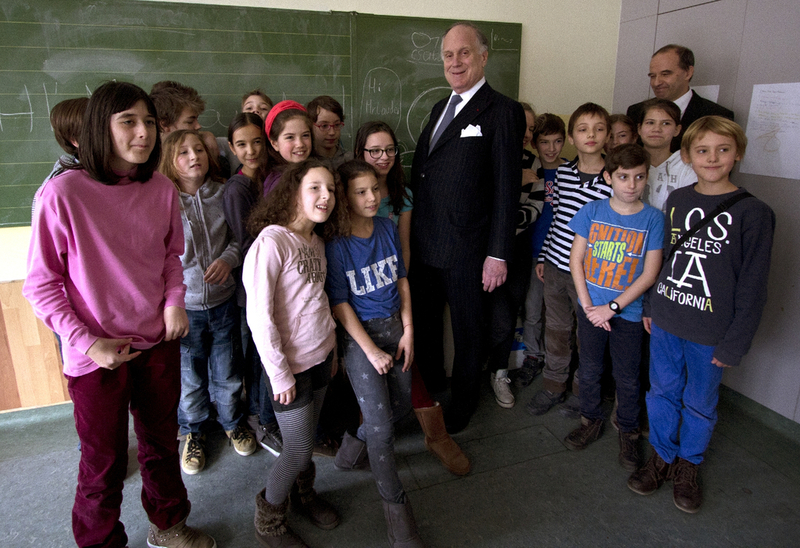 He then made a casual walk around the school during breaktime, with curious eyes following him whereever he went, and people grabbing the opportunity to have their picture taken with him. 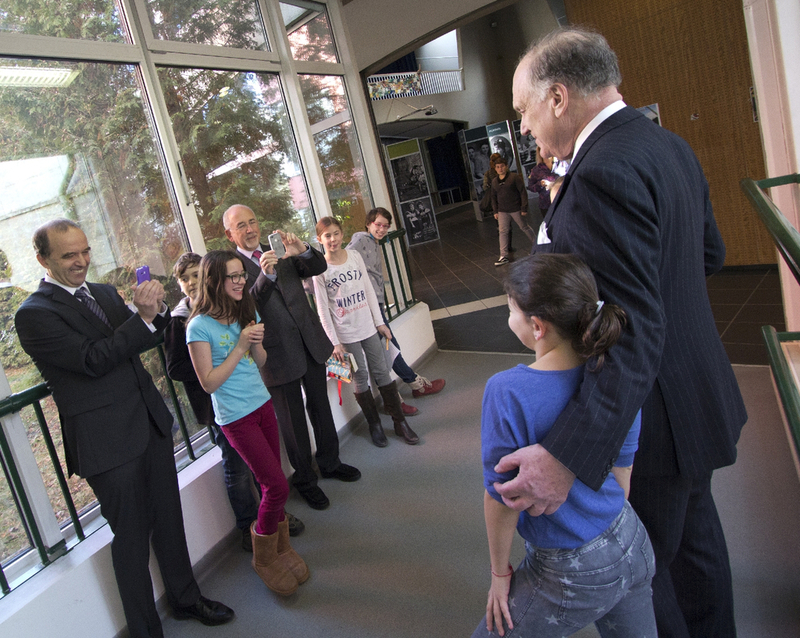 Our kindergarteners had a chance to meet our guests in the playground, where the delegation viewed the soon to be construction site of our institute expansion. 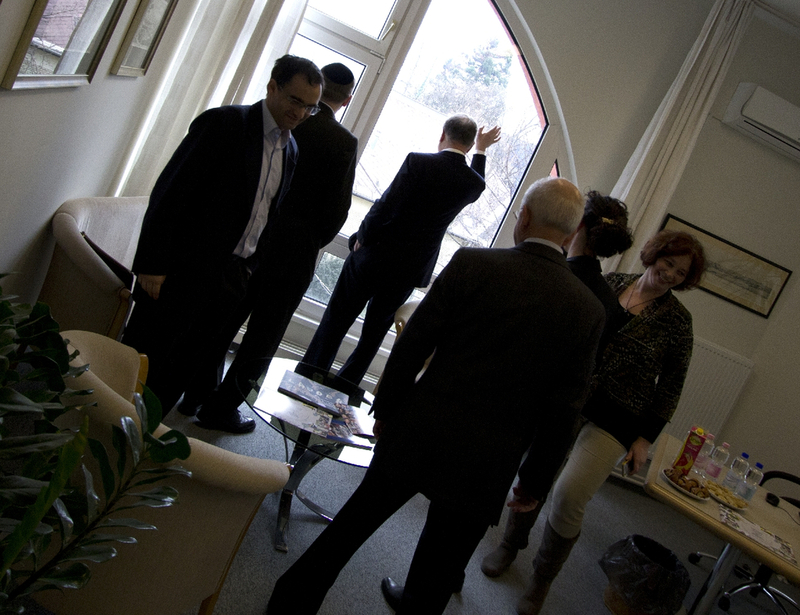 The visit ended with a meeting with Gábor Horányi, our principal, and a lunch spent together.